In 1901 a health food enthusiast, Henry D. Perky in 1901 opened a plant like no other to be found in North America in nearby Niagara Falls, New York. Perky’s National Food Company produced in a five story, building referred to be the locals as “A Palace of Light”, the world famous breakfast cereal Shredded Wheat. It was called that because of the many windows that allowed light into the plant. This was a rarity for the times. 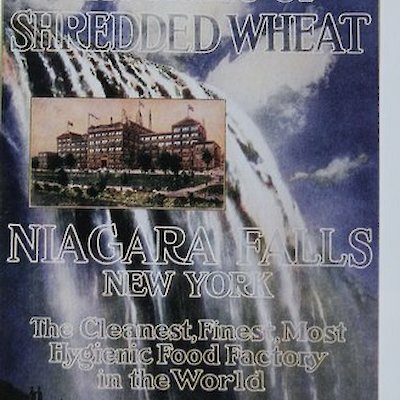 For years Shredded Wheat boxes had a picture of the falls on each box with the slogan, “The Cleanest, Finest, Most Hygienic Food factory in the World”. This plant was clean and more than 1,000 workers were treated exceptionally well. 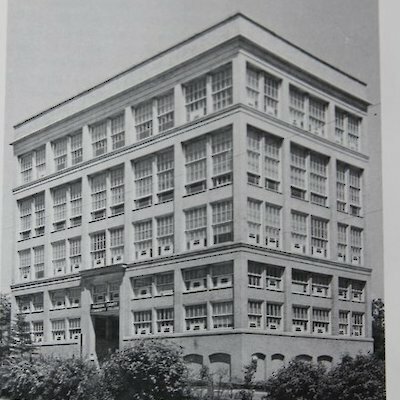 For example, there were free noonday meals, the plant was cooled by well-circulated air pumped through a water spray, workers were given an hour a week of bath or shower time in company washrooms and female workers were given four rest periods a day. It was the first known “Coffee Break” so common today. The plant now sits vacant surrounded by a large open field in Niagara Falls N.Y.
My maternal grandfather retired from Nabisvo. Wallace Yates. This article was interesting, Thank you! Shredded Wheat is my breakfast cereal of choice about four days a week. Recently my wife and I watched the 1953 Marilyn Monroe movie "Niagara." In it, Marilyn and her husband are in town to visit the company he works for: the makers of Shredded Wheat. His boss and his wife join the couple for some sight seeing and talk a little bit about the company. This was enough to trigger childhood memories of eating Shredded Wheat as a boy and the pictures of Niagara Falls on the boxes; something I had long forgotten. I enjoy the heritage of this cereal, not to mention the good nutrition it offers along with zero sugar!